The Ramayana is one of the greatest legends of Indian mythology. Simply reading about it makes you want to be there when the giant armies clashed or when Rama fought Ravana. What if we told you it was possible to visit the battlefields or even the place where Seeta Devi was kept captive? Yes, you read right, we have the perfect Sri Lanka Holiday Package that will take you to crucial places where the Ramayana unfolded. This tour will be the perfect blend of a vacation and a pilgrimage, all in one. 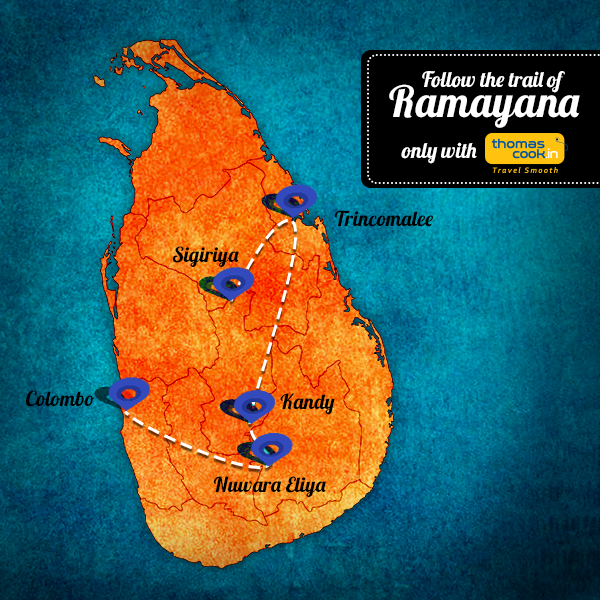 Explore the trail of Ramayana in Sri Lanka on your Sri Lankan Holidays. Once you make your way to the peaceful town of Chilaw, the two places you must visit are the Manavari Temple and the Munneswaram temple. It is said that Manavari Temple houses the very first lingam to be named after Lord Rama. This is one of the best ways for a devotee to begin the pilgrimage. The Munneswaram Temple, on the other hand, is a place where Lord Rama stopped at and prayed to God Shiva for help. Simply visiting such a place will make you feel at peace and blessed. Some Sri Lankan packages for tourists may choose to skip this beach-side town on the eastern coast. Keep that in mind when selecting a package as this town has beautiful golden sandy beaches you do not want to miss. What makes this town a place to visit is the Koneswaram Temple that sits majestically at the edge of the cliff. This town is an amazing place to ease your mind, body and soul. Kandy is a UNESCO world heritage site sitting among the mountains at 480 meters above sea level. Once you make your way to this serene town on the plateau, you must go visit the ‘Temple of the Tooth’ which holds a relic of Buddha. 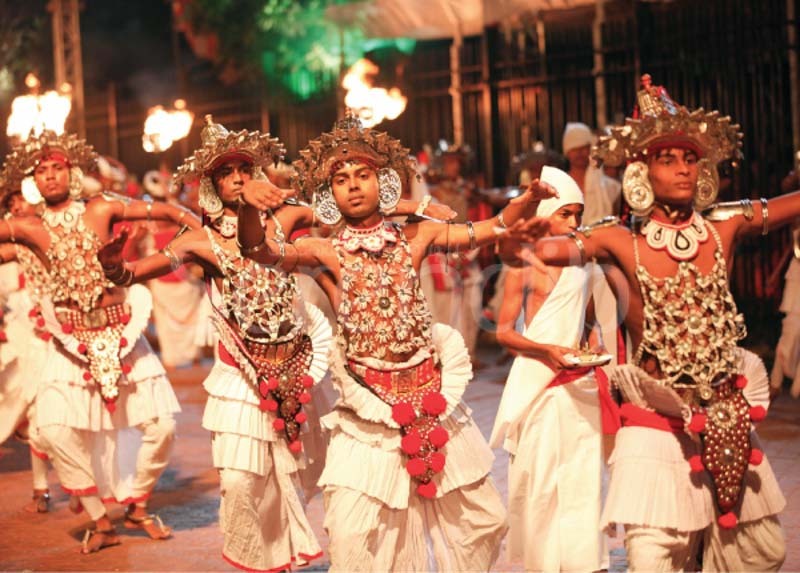 As the sun sets, you could attend a Kandyan Dance performance which ends with a breath-taking fire walk. Also known as ‘the city of light, Nuwara Eliya literally sits among the clouds at an altitude of 1800 meters and is a hub for tea in the country. Besides being famous for its tea plantations, it is also famous for its cool climate which is what makes it a must-visit spot for tourists. One place you must visit is the Hanuman Temple which is where Hanuman searched for Seeta when she was abducted by Ravana. Another temple to visit close by is the Seetha Amman Temple which is built on the spot where Ravana held Seeta captive. 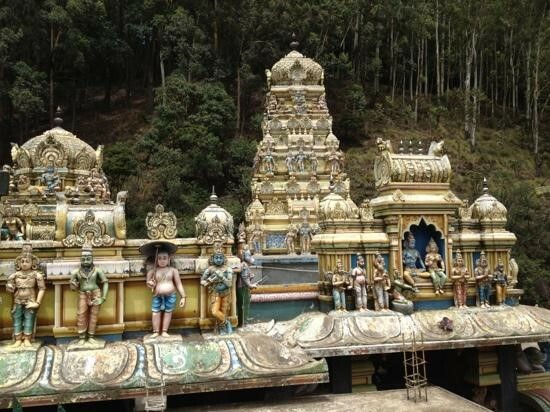 Many devotees visit these temples and if you happen to be in Nuwara Eliya, you must too. When in Sri Lanka, you must make your way to the capital city of Colombo. 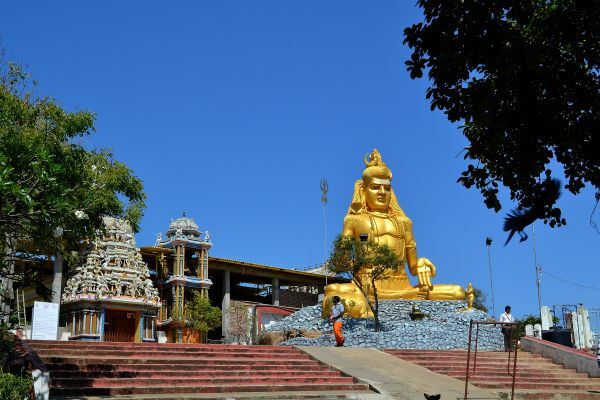 This city is home to two famous temples namely the Anjaneyar Temple and the Kelaniya Temple. The Anjaneyar temple is the only temple in the world to have a chariot for Anjaneyar which is why many devotees make it a point to visit this temple. 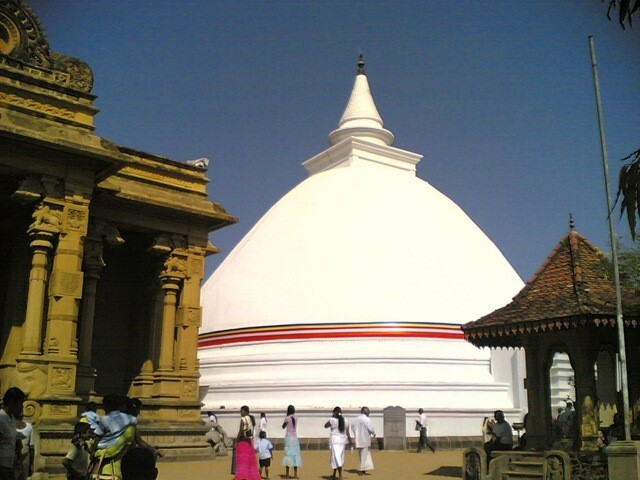 The Kelaniya Temple is where Vibeeshana was coroneted king and there are murals outside the temple depicting the coronation. Besides visiting the temples, you could also visit the city’s museum, the zoo or even the beaches. With Sri Lankan Tourism booming by leaps and bounds, you can be sure that there are countless more cities and places you could visit while here. But for those who want a vacation that doubles as a pilgrimage, nothing will come close to exploring the Trail of Ramayana in Sri Lanka. So the next time you’re planning a trip, remember, a vacation can be fun, exciting and spiritual just like exploring the trail of Ramayana in Sri Lanka. If you are looking for a vacation that doubles as a pilgrimage, nothing will come close to exploring the Trail of Ramayana in Sri Lanka.